TMV, which has posted footage of the murdered boy’s funeral on its website, claims the child was killed in broad daylight in the city of Medina on Feb. 7 by a taxi driver. Saudi officials were cited by the broadcaster as saying the taxi driver was suffering from mental health problems. The mother reportedly said yes. The nonprofit claims that no bystanders intervened. According to TMV, citing “sources close to the family,” the perpetrator was the taxi driver who stopped the car and “forced the boy out near a coffee shop in the Al-Tilal neighborhood.” The driver then allegedly smashed a glass bottle to obtain a shard of glass, which he then used to slash the boy’s throat, and stab him. Witnesses cited by TMV said that a policeman stationed nearby also tried to stop the man from attacking the child, but he was unable to save the boy’s life. He reportedly restrained the driver until other officers arrived. The Epoch Times has been unable to independently verify the reports. 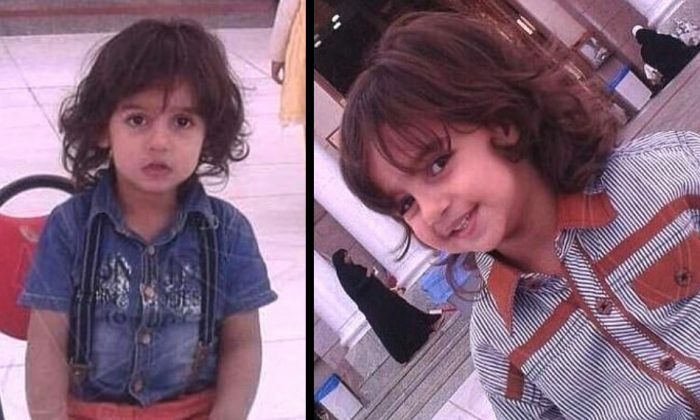 The first pictures have reportedly emerged of the murdered boy. While it is not known why the boy was targeted, Saudi officials have reportedly claimed it an isolated incident. Shia Rights Watch claims the slaying was an act of sectarian violence. “Beheading of a young child in such manner must be addressed as soon as possible,” the group said in the press release. The Shiite-Sunni tensions in Saudi Arabia broadly reflect the deep suspicion and simmering hostility between Iran (about 95 percent Shiite) and the Saudi kingdom (over 90 percent Sunni). “The mutual enmity between the current two regional powerhouses goes back to the seventh century,” wrote David Kilgour, a human-rights activist, author, former lawyer and Canadian politician, in a special analysis for The Epoch Times. Analysts said Iran and Saudi Arabia are currently fighting a proxy war in Yemen, a crisis that has sparked a widescale humanitarian calamity.